This article is part of an ongoing Catalyst Chicago series that will follow minority teacher candidates through their student teaching experience, job hunt and first year in the classroom. 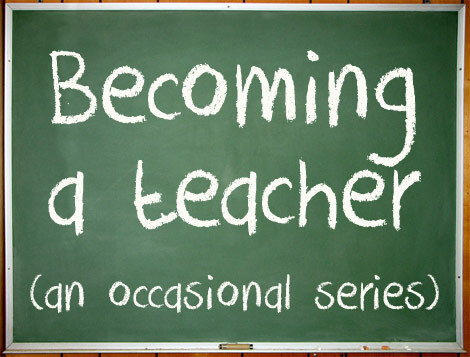 Of the two Grow Your Own Teachers candidates Catalyst Chicago profiled earlier this year, just one is headed to the classroom, and a research report released this summer has shed light on how a slow teacher hiring climate may be affecting the program’s graduates. Michael Vargas, one of the teachers featured by Catalyst, landed a job teaching 8th-grade bilingual education at Calmeca Academy. Angel Torres was offered a full-tuition scholarship to complete a master’s degree in math education at Northeastern Illinois University. He took it, and will spend another year learning instead of teaching. Torres had several reasons for opting to take the scholarship. One is the chance to build confidence. “I knew I wasn’t prepared to go out and teach at this time. I wanted to stay in school and take a couple more classes,” he says. Student enrollment in Illinois is expected to decline through 2015, according to a 2011 report from the Illinois State Board of Education, and fewer students will mean tougher job searches for teachers. The trend is likely to hold for teachers elsewhere, too: According to the U.S. Bureau of Labor Statistics Occupational Outlook Handbook, the number of students is stagnant in many other Midwestern states and declining in the Northeast, as well. Reached over the summer, Torres said he also feared that if he took a job, he would lose pay should teachers strike—which they did. “My wife just lost her job at the state, so I needed to make sure there was an income,” Torres said at the time. As a master’s student at Northeastern Illinois University, he was able to keep his full-time job at People’s Gas. Grow Your Own is intended to help increase diversity in the teaching force by training candidates who already have ties to underserved communities, helping them to complete their bachelor’s degrees and become teachers. In CPS, the workforce has recently experienced a decline in the number of African-American teachers, coupled with a substantial gap between the percentage of students and the percentage of teachers who are Latino. The district agreed to a provision in the most recent Chicago Teachers Union contract that will create a plan for recruiting more minority teachers. CTU staff coordinator Jackson Potter says he thinks the district should look at models like Grow Your Own. But an evaluation of the program released this summer noted that, despite positive ratings of graduates on a modified Charlotte Danielson Framework for Teaching, and good reviews from principals, not all the 33 Chicago graduates have found jobs. Of the 33, most are teaching in CPS—but 10 are not. Of those 10, two are hunting for CPS jobs (one is subbing in the meantime), two are working in schools but not as teachers, two are teaching outside the district, three are in graduate school, and one is still working to get her credentials from the state. Another barrier is the slow trickle of teacher candidates into the schools—just 70 so far have graduated, 33 in Chicago and 37 elsewhere in the state. Grow Your Own is moving to address this issue. Community groups—which partner to offer Grow Your Own—and universities around the state have toughened the screening process for applicants in order to ensure they’re more likely to finish, the evaluation noted. Anne Hallett, the director of Grow Your Own Illinois, says that the program has adopted a “Pre-Grow Your Own” strategy to strengthen recruitment. Five of the community organizations require candidates to take several college classes—such as math—without assistance from the program. The candidates also participate in Grow Your Own student activities. “This allows the candidate to assess if he or she can succeed in college courses and if being an active member of a GYO cohort is a good fit for her or him,” Hallett notes. The strategy also lets Grow Your Own figure out if the candidate can succeed academically and commit to the program.